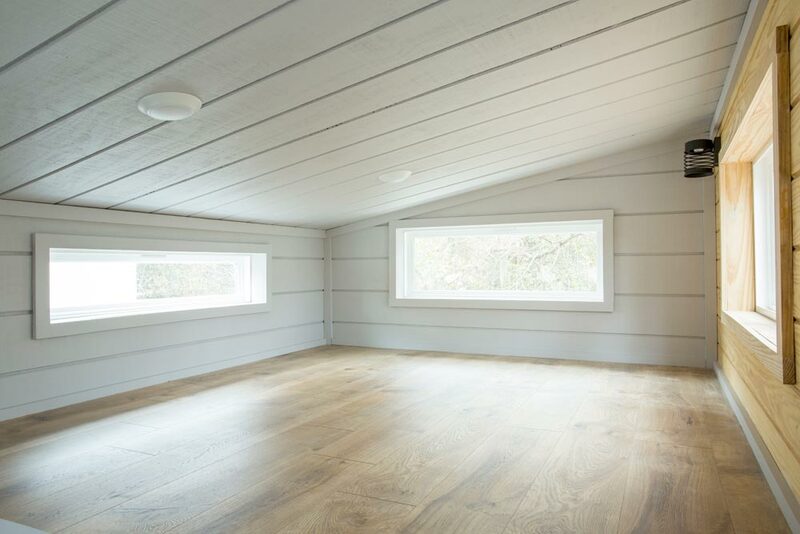 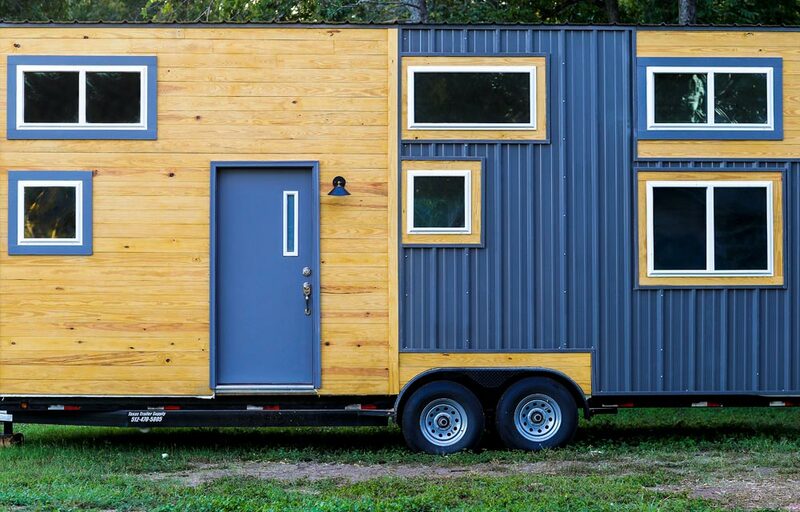 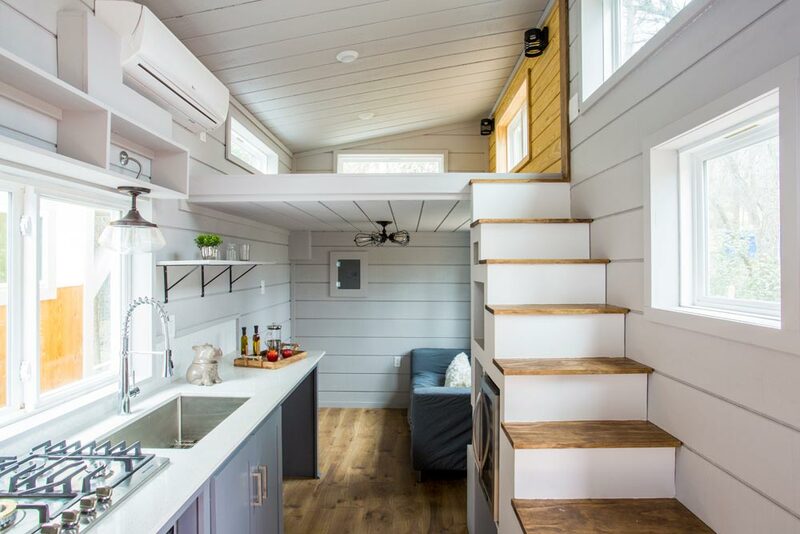 With its plentiful windows, the 26-foot Chuy by ATX Tiny Casas provides a bright living space, complete with two large bedroom lofts. 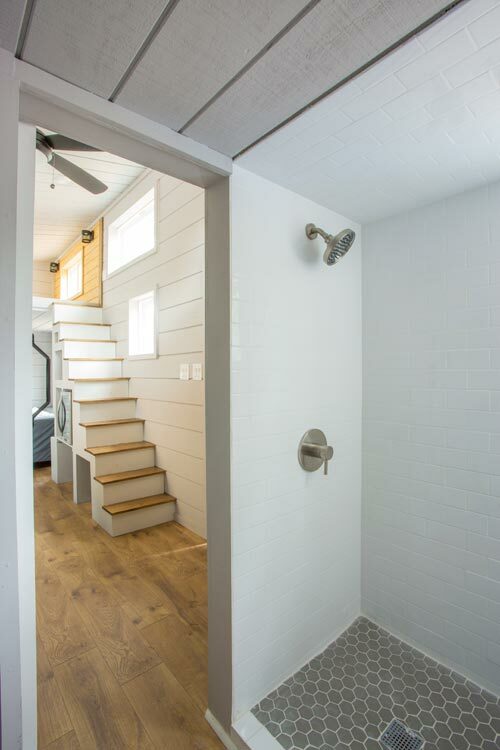 The master bedroom loft has a wood panel accent wall. 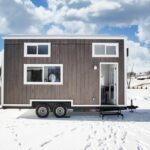 The exterior consists of charcoal metal mixed with tongue-and-groove wood siding. 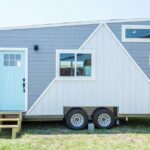 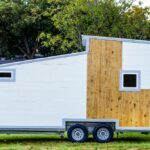 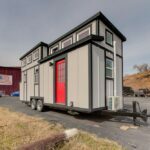 As with the Lady Bird, ATX Tiny Casas built the Chuy with ultra lightweight steel framing and spray foam insulation. 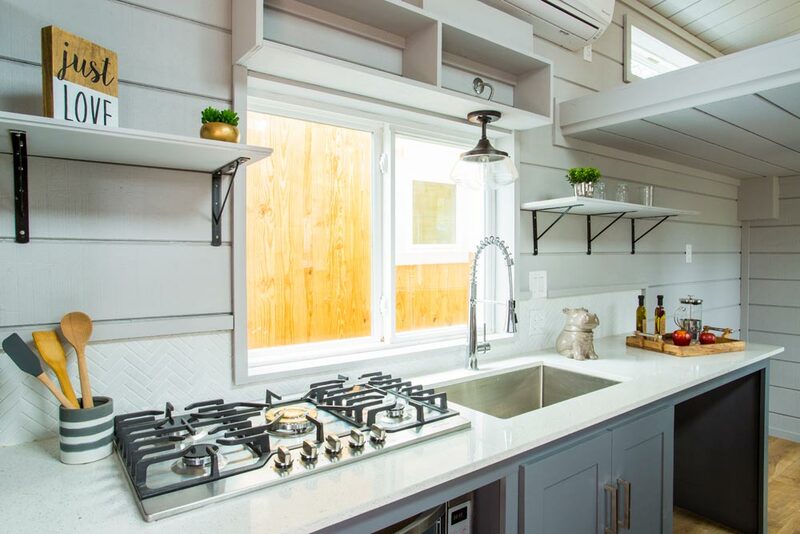 Inside the 320-square-foot home is a beautiful kitchen, family room with regular sofa, a full size bathroom, and the two bedroom lofts. 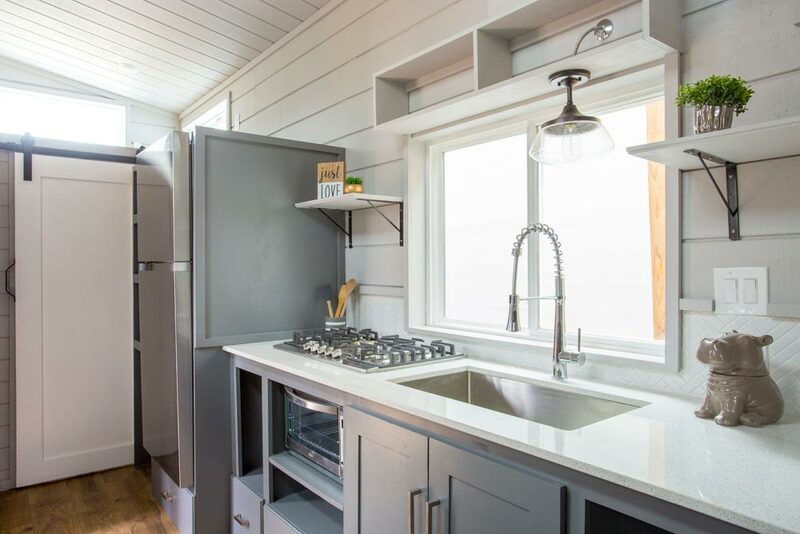 The kitchen features quartz countertops, a single bowl sink with gooseneck faucet, propane five burner cooktop, large toaster over, refrigerator, and built-in wine fridge. 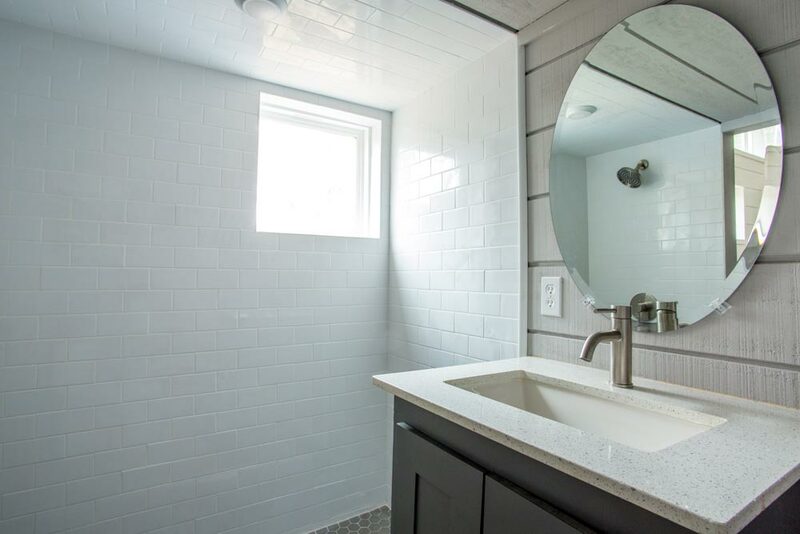 In the bathroom is a tile shower, vanity, and flush toilet. 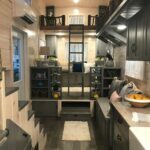 The Chuy was priced at $65,000 and includes all appliances and sofa. 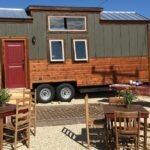 For more information about the home, please contact ATX Tiny Casas. 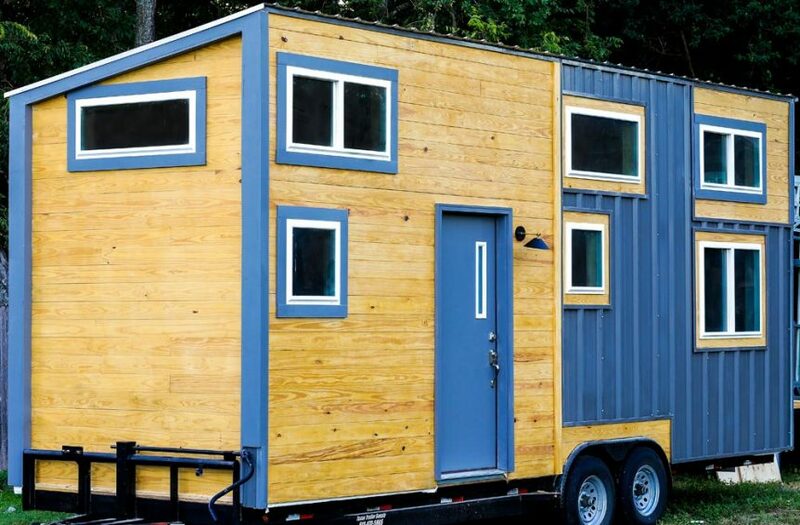 Also available from ATX Tiny Casas: Lady Bird, Kerbey, Zilker.